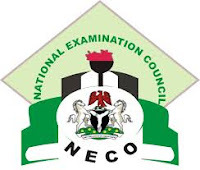 The Registrar and Chief Executive Officer of NECO, Prof. Charles Uwakwe, who announced this in Minna, said a total of 42, 985 candidates registered, out of which 42, 429 sat for the examinations, and the number of candidates with five credits including Mathematics and English Language put at 24, 098 (56.79%). According to him 32, 917 candidates representing 77.58 percent have five credits and above irrespective of English Language and Mathematics, pointing out the performance represents a slight improvement of 1.72 percent over last year. The analysis shows that 32, 701 candidates representing 78.82 percent scored credit and above in mathematics, while 29, 258 representing 70.62 percent have credits and above in English Language. Ogun topping the chart of candidates’ performance by states with 91.42 percent. The comparative analysis of candidates’ performance also shows that Ogun state top the chart of candidates’ performance by states with 91.42 percent, while Akwa Ibom state came second with 87.97 percent, and Zamfara occupied the last position with 12.90 percent even though only 230 candidates sat for the examination from the state. On the malpractice cases by states, Plateau came first with 21.31 percent, followed by Oyo, which has 19.97 percent. Adamawa State is the third on 464 cases of examination malpractice, representing 10.48 per cent.